It is important to acknowledge the objective and intended use of your brochure before developing the content. Here are some important concepts to keep in mind as you make brochure content. It is important to keep the content focussed largely on the benefit it brings to your target audience. Design the brochure keeping the reader’s perspective in mind. Remember, a few people out of all readers will read the brochure from cover to cover and skim through the exact info which you want to convey to your readers. Thus, it is important to go for a simple layout and easy navigation. Anticipate the questions which may arise in your reader’s mind and answer them in the FAQ section. The bottom line is that your audience should know the advantages of working with you. The work and design are the vehicles of your brochure to transmit your message, thus you got to use them wisely. When laying out your brochure, sometimes less is better than more. So, do not stuff your brochure with too many details that the important things get lost in the crowd. To get a clean and precise look, do not mix too many fonts. Choose a font which is easily readable by people of all ages. Do not make mistake of over-utilizing the italics or bold feature. Go for bullet points for easy reading. You can use large as well as small pictures on a page evenly. Do not clutter the images on just one page. Photos grab more attention thus, you should caption the images descriptively to convey your message. Color and design should also be consistent with the theme of your brochure and should complement the content. The cover lays the base for the entire brochure, hence it should be designed well. The idea should be to display the name or product of your company on the cover. You can also put up a question on the brochure to draw the attention of your reader. If your brand is recognizable, then you should definitely use it on the cover but give it less importance than the headline. The call to action is what you desire your reader to do after going through the brochure. Thus, make it convenient and easy to perform. If your brochures are highly informative, make your call to action easy. If you want your customer to book an appointment, then your call to action should be “Call today to fix an appointment”. When you are going for brochure printing, then make sure it casts the best possible light on your company. Try to create it from the best quality images, artwork, content and paper quality you can use. 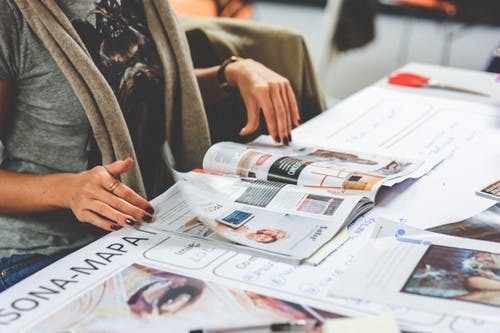 You have a wide range of options to consider when designing and brochure printing, so just involve a good brochure print company and know your options well. It will save your time, money, effort and regrets.